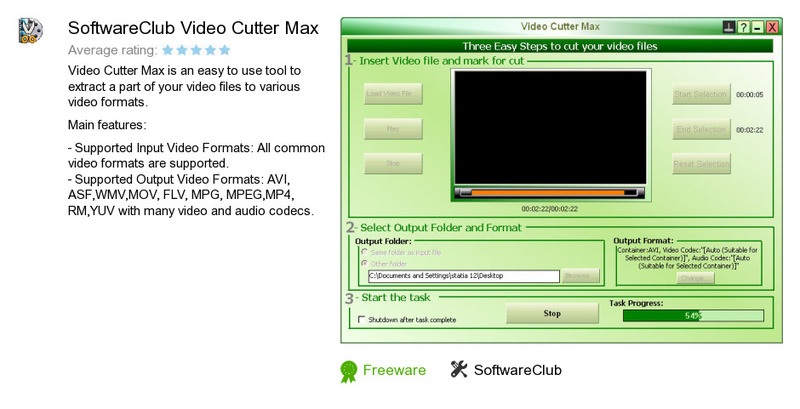 SoftwareClub Video Cutter Max is a program developed by SoftwareClub. We know of versions 3.6, 1.0. Version 3.6.0.13 is downloadable at our site. SoftwareClub Video Cutter Max package has a size of 8,352,194 bytes. SoftwareClub also publishes SC CD-DVD Burner+ and SC Audio DJ Mixer.